Oh Samsung, you temptress. The rumored builder of Google’s next developer phone, the Nexus Prime, just posted this YouTube video featuring 27 seconds of boring and three seconds of jaw-dropping wow. At the end of the ad is what appears to be a profile view of the upcoming superphone, just before a plug for Samsung’s Mobile Unpacked event at CTIA. First impressions: man, that is some serious screen curve. The last developer phone, Samsung’s Nexus S, also featured a screen with curved tempered glass, but the Nexus Prime looks like it takes the concave styling to a new level. If you look closely, you can see three gold-colored circles on the phone’s side, possibly electrical contacts for a dock, a la the original Nexus One. You can see that the phone has an exaggerated bulge on the back, much more pronounced than the various Galaxy S II models. Rumored specs on the Samsung Nexus Prime include an HD 1280 x 720 screen, NFC and facial recognition capability, the latest dual-core processor and of course, the latest version of Android, Ice Cream Sandwich. The as-yet-unnumbered software version will combine elements of Gingerbread and Honeycomb to create a unified Android platform. The preamble to Samsung’s video certainly seems to allude to some sweet food-based codenames. And if you think that it’s a coincidence that this preview came out the night of Apple’s iPhone 4S announcement, I’ve got some ocean-front property in Arizona to sell you. Keep an eye on Android Community during CTIA for full coverage. 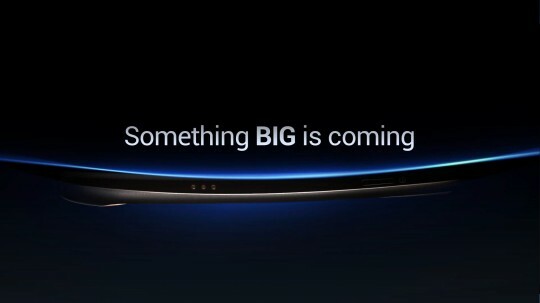 The Samsung Unbox event – and hopefully the Nexus Prime unveiling – will be held next Tuesday, October 11th.